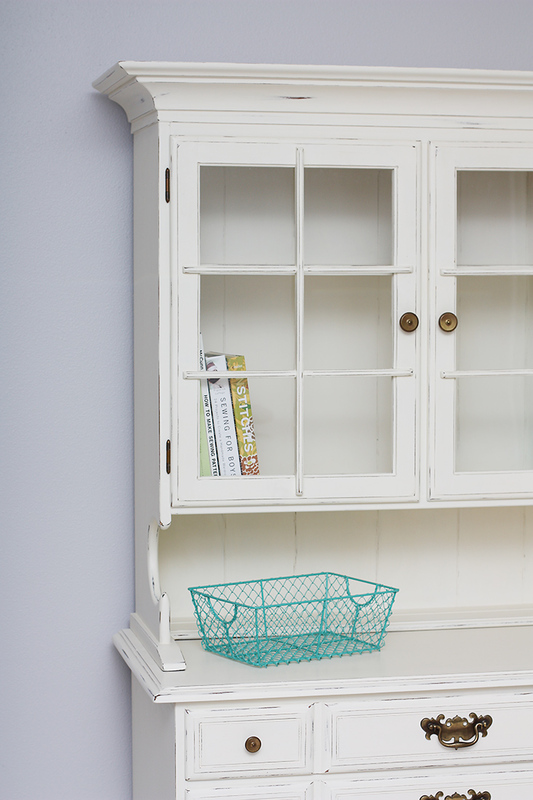 You know how much I love DIY projects, so when I was contacted about trying out Chalk Paint® decorative paint by Annie Sloan, you know I was all over it. In all of the things I’ve painted over the past several years, I had never used Chalk Paint®, so I was excited to give it a try. 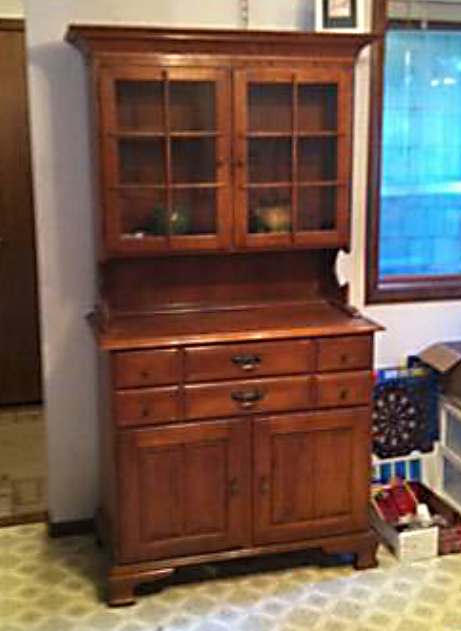 I originally wanted to re-do a dresser for our master bedroom, but when I came across this hutch on Craigslist, my plan quickly changed (photo courtesy of the Craigslist ad). 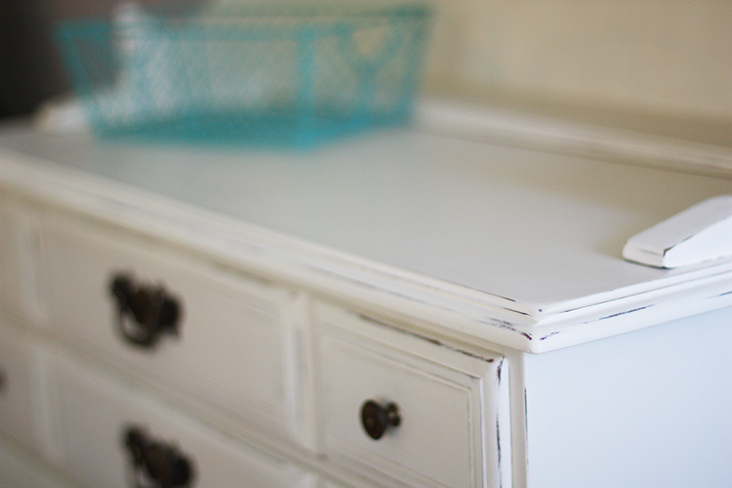 I had heard and read really great things about Chalk Paint®, and was anxious to see if it lived up to all the hype. Needless to say, it definitely did and I’m converted! I think the number one draw for myself and many others to use Chalk Paint® is the fact that you don’t have to sand or prime most surfaces before painting. I was so happy every time I remembered that I didn’t have to do any sanding. 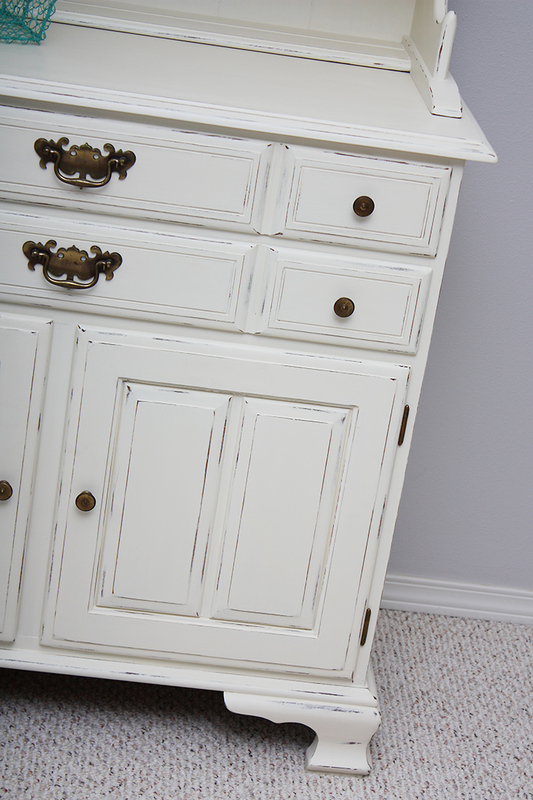 I was surprised by how far one can of Chalk Paint® really goes, even after reading all the reviews about it. I painted three coats of Old White on the hutch to get the dark covered up completely, and was amazed that I only used one can. In fact, I would have used even less if I had been smart and watered the paint down a bit for my first coat (more on that in a bit). Or if I hadn’t over-distressed some areas and needed to repaint them ;). I also was sent an Annie Sloan Brush to try out. It’s an oval natural brush, and I loved that it holds a LOT of paint. I’m usually a cheap-brush kind of girl, but I think this brush converted me to quality paint brushes. I didn’t find myself needing to re-dip my paint brush nearly as often as I would have with other brushes I’ve used. The brush in particular that I used is best for adding texture, and that it did. Annie Sloan also makes flat brushes, which I think may have been a better fit for this project, as they help to achieve a smooth finish with no brush marks. If you were doing a project and antiquing with dark wax, the oval brush would be a dream. As I mentioned above, after the first coat, I added some water to the paint, and got a nice smooth finish that I was looking for with the second two coats. After painting, I distressed the edges with fine sandpaper. 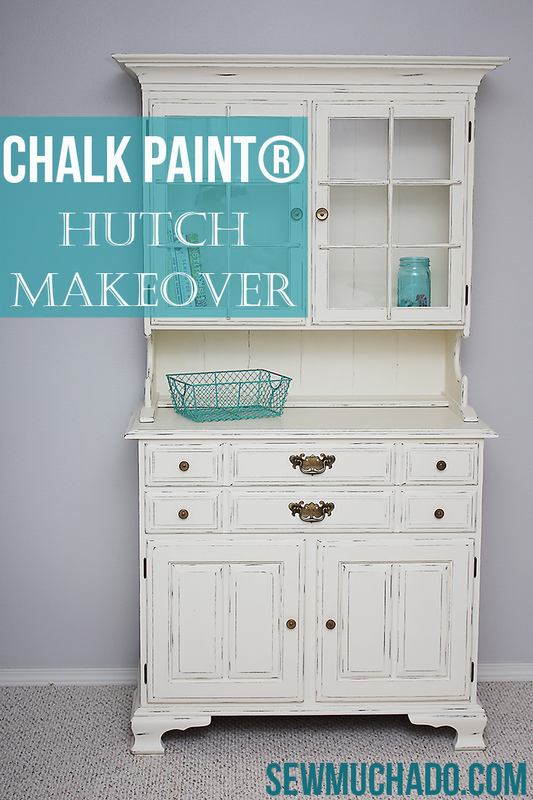 This may have been my favorite thing of all about using Chalk Paint®. You know when you distress latex paint and it sometimes starts to peel off unevenly? Not a problem with Chalk Paint®. As I was sanding, I kept telling Joel to look so he could see how great the paint was to distress. “Look at this! Okay, you’re not even looking. No seriously, look!” It came off so easily and evenly, giving a very natural-aged look which I am so so happy about. It was so fun and easy to get the exact look I wanted (the over-distressing and repainting part was the fault of my own indecision :)). 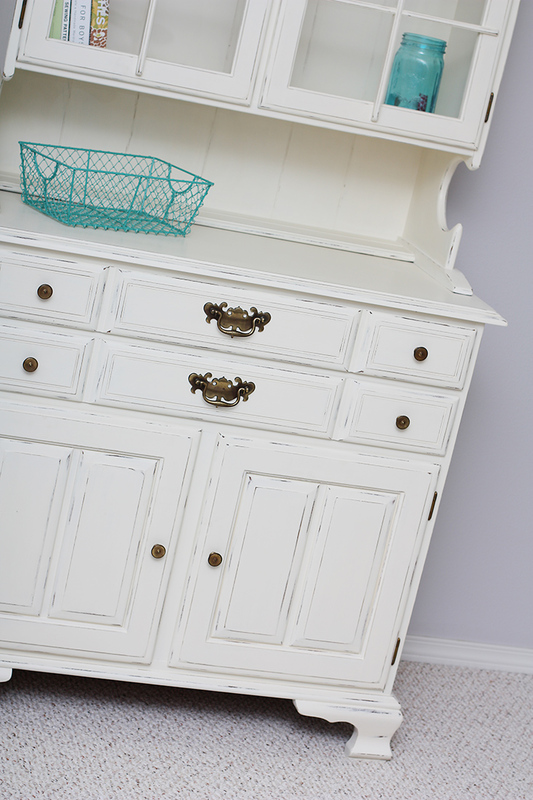 Chalk Paint® is usually followed up with either a clear wax, dark wax, or a combination of the two. I’ve read a lot about a steep learning curve with the wax, so was a bit nervous. I went with the soft clear wax, and after watching a few video tutorials, was ready to give it a go. I do agree about the learning curve, and feel that by the end of the project I had learned a lot and was getting a lot better at it. 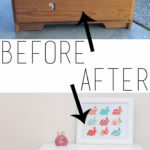 I think it’s a good idea to practice on smaller projects before tackling something like your grandma’s antique buffet. I’ve always been a polyacrylic fan, so wax was a new thing for me and I wasn’t sure how I’d like it, but I love the soft, velvety finish it gives. And of course time will tell, but it seems like it will hold up nicely. While polyacrylic sits on top of the paint, wax is worked into the paint, similar to applying lotion. I have to say that I actually really enjoyed the waxing process, which was a nice surprise. I’ve never refinished a furniture piece without wanting new hardware before, but for some reason I really loved the look of the aged brass on the hutch, and decided to keep it. It has great patina and I love it against the white paint. Chalk Paint® is a bit pricey at around $36-38 per quart-sized can, but to be honest, because of how little you use to complete a project and all of the other benefits, I feel like it’s well worth that price. I was provided with the supplies for this project, but all opinions are genuine and I’d gladly spend the money on my own for future projects. 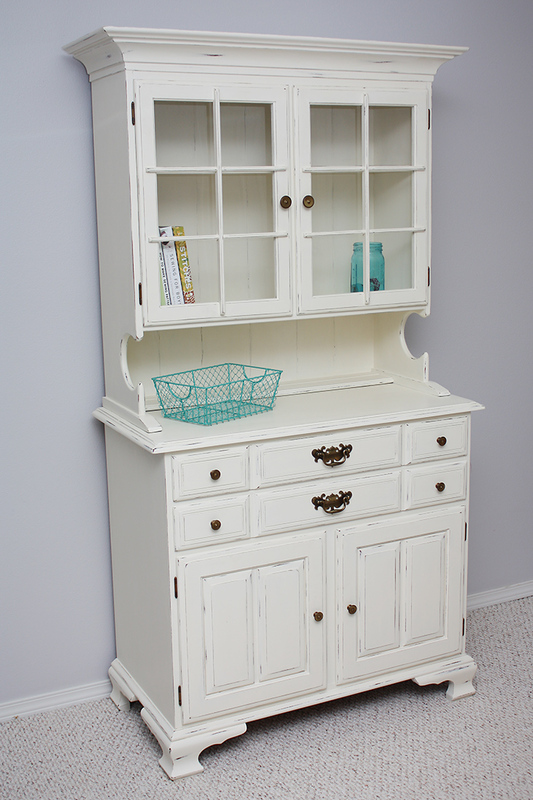 I’m suuuuper excited that this hutch is going to find it’s home in my sewing room, where I can stash all kinds of beautiful fabric and supplies away in it. 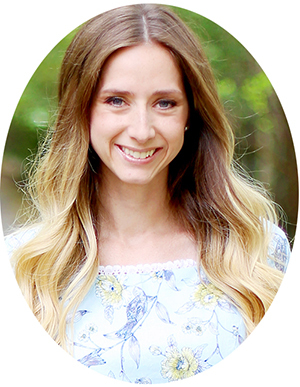 I’ll be sharing all about my sewing room next month with you! i love it! so beautiful! the only chalk paint i have used was the kind you make yourself with plaster. 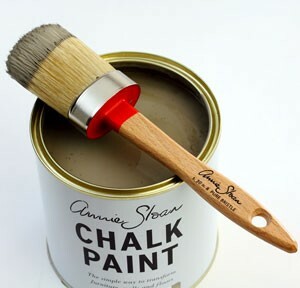 I love Annie Sloan Chalk Paint!! 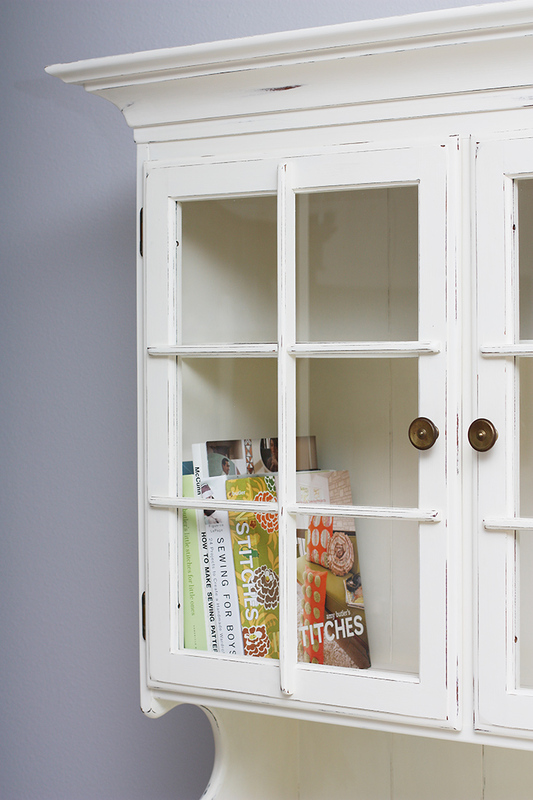 Your hutch looks lovely! Thank you for sharing. 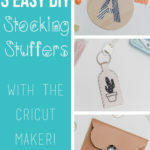 Very impressive and beautiful for your first project! I would like to mention that ASCP comes in quart sizes in the U. S. (not pint, as mentioned). Thanks! 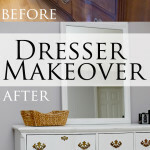 Gorgeous makeover! Really looks amazing. Totally pinned! 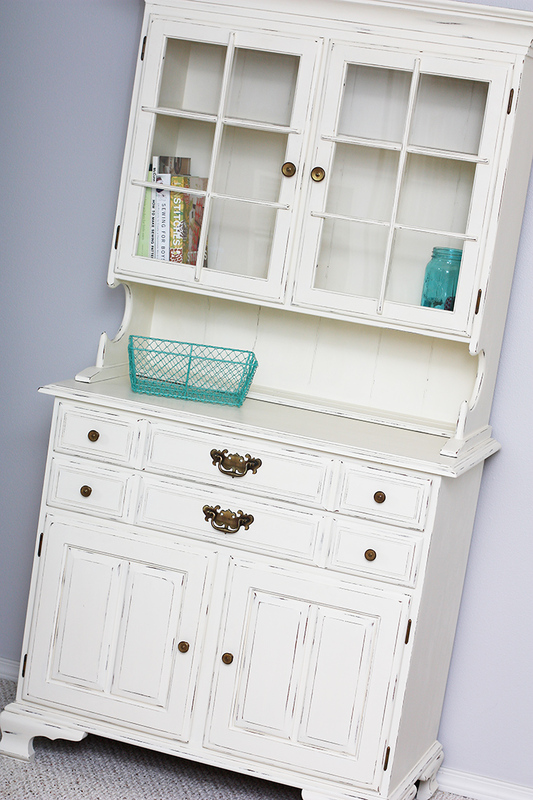 I am such a sucker for an awesome white hutch transformation! I have always made my own chalk paint but you’ve talked me into buying some “real” chalk paint. I need that awesome brush too! looks awesome Abby! I have a hutch in my sewing room for fabric and it was the best move ever… huge potential for fabric… great job on the painting! Oh gorgeous! Definitely worth it! wow. this is absolutely stunning!! 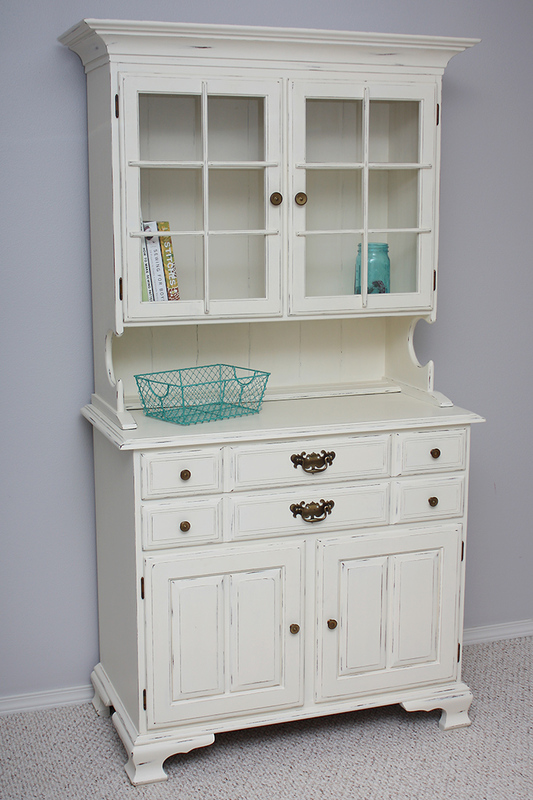 I also just tried out Annie Sloan chalk paint on a dresser for my living room and loved it! Your hutch looks awesome. 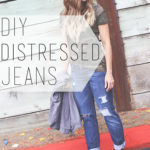 The perfect amount of distressing.